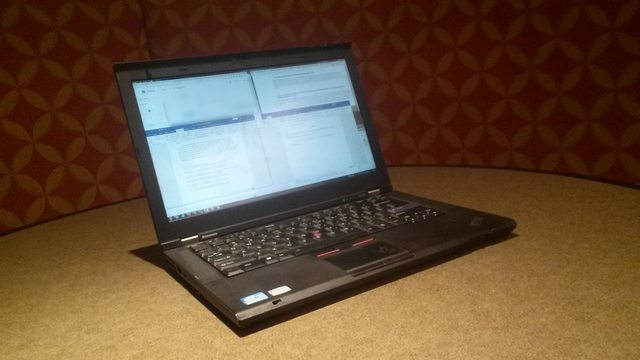 This is the ThinkPad I've been daily driving since January. The case is from a heavily battered up T420s with a possessed Intel motherboard, the poor thing would shut itself off and turn itself on at random. In replacing that I went for an Nvidia T430s board and heatsink. As well I ordered RMSMajestic's QHD kit and an AUO B140QAN01.1... although MonitorInfoView IDs it as an LG LP140QH1-SPB1. The bottom case is badly scratched and dented along the edges, especially in the rear corners, and the front right corner at the palmrest is missing a piece and a screw anchor. I intend to fill that in with epoxy, at some point. The glue holding the lid stickers on dried up, leaving only the silhouettes of ThinkPad and Lenovo. 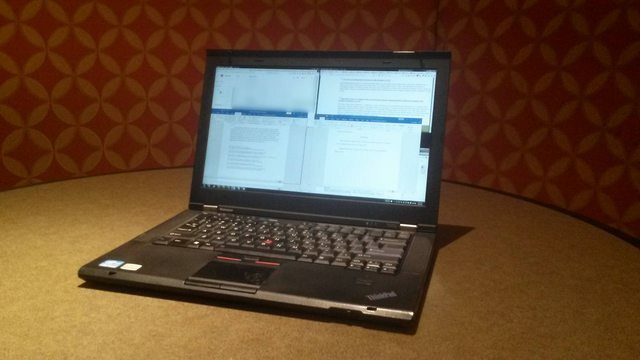 The plethora of ports was changed between T420s and T430s. 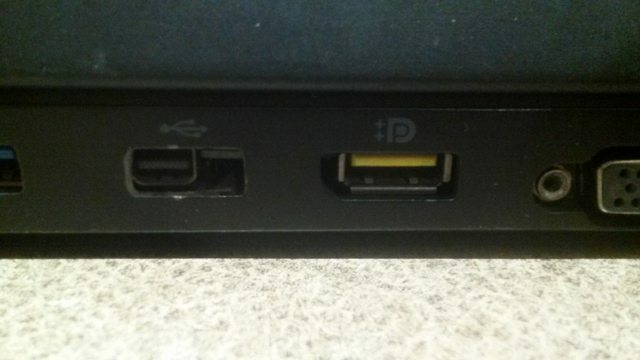 The yellow USB port and the Displayport swapped places, with the T430s moving to the Mini Displayport standard. I didn't finish dremeling out the hole to make the Mini DP surely usable, because I don't have any Mini DP cables. I ought to fill in the rest of the hole. When doing this Frankenstein mod some other parts of the case must be modified. The rear middle screw cylinder in the bottom case see here must be deleted, as it contacts a capacitor on the board and shorts out the laptop. 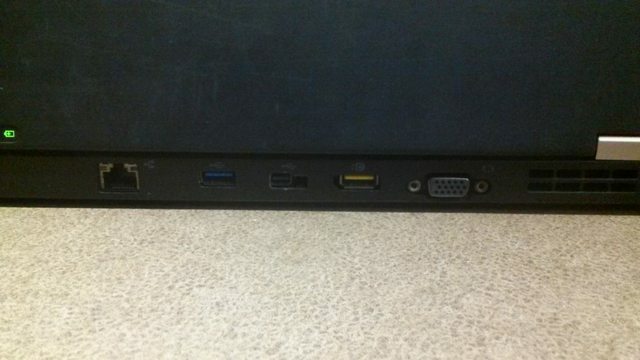 The corresponding screw anchor in the keyboard bezel should be removed for good measure as well. 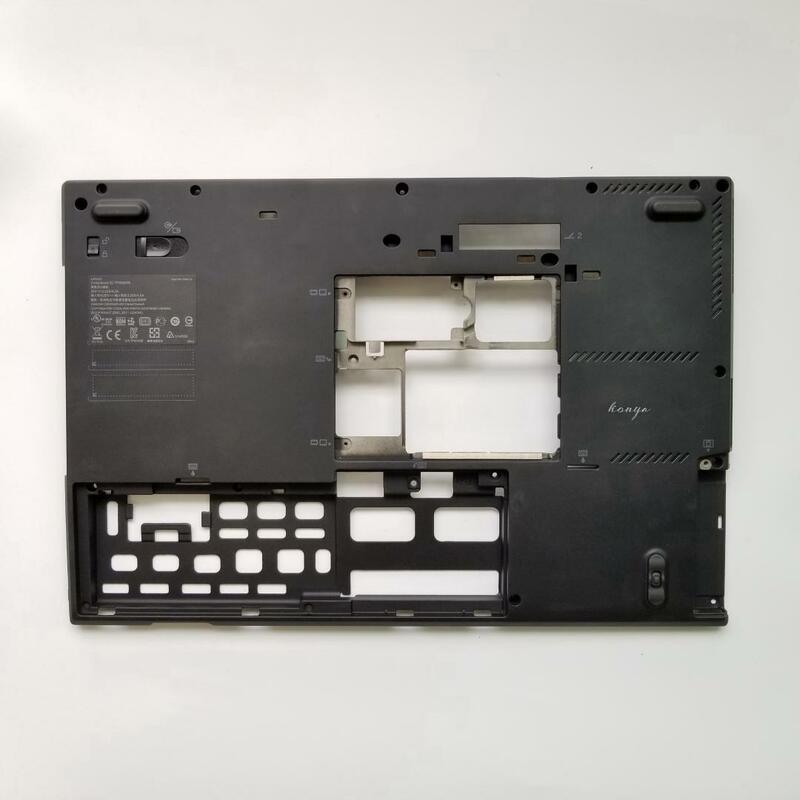 T420s is built like a blown up X60, X200, or X220 with the heatsink underneath the board. It's not a complicated process, but an invasive process to disassemble and service this laptop. As great as my T430, built up with the Chinese FHD IPS mod kit and classic keyboard, that I used all of last year, all its speed and battery life couldn't replace the 1200 productive rows of my WUXGA T500. The T430 and T500 are both put away, however, by the 1440 rows of the QHD T430s. Shame it can't go more than 1.5 hours on a charge. 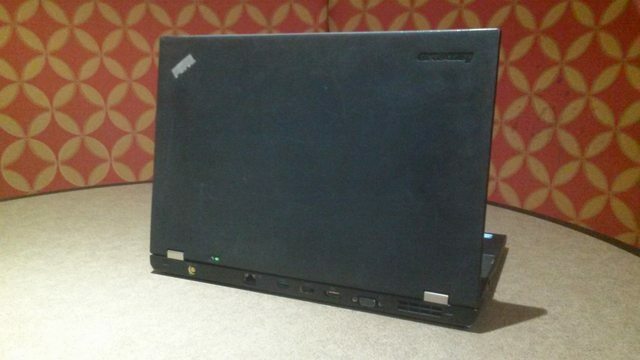 T430 and T500 both got the T430s beat there. Yeah, the slim-T series battery life is quite poor; Ultrabay battery is a must to have anything reasonable.